Book Now: £650 £450 + VAT Book by 1st May and save £200! A 2 day conference on Big Data and AI for Developers. We are very proud to announce that Brian Sletten and Tim Berglund will be joining us for a Keynote talk at Infiniteconf 2019! Infiniteconf will examine the fluidity at the intersection of Big Data and AI and what the systemic outcomes of this relationship are. The conference uncovers the right tools and essential knowledge that software teams need to utilise its potential. Infiniteconf seeks to discover real-world applications of Big Data and AI. The conference brings together leading experts to share their first-hand experience of applying AI and ML within software teams, and discuss its implications for business. What is the software roadmap and is your company and development team on the right track? Infiniteconf offers value to all developers adopting AI and ML, as well as those who have been using these applications for some time. Past attendees include: Software Engineers and Architects, Data Engineers, Machine Learning Engineers, Product Managers, and Team Leads. Explore the programme to find your ideal talks. Thanks for submitting a proposal, the response's been overwhelming and we are currently working on selecting talks. Click here to stay up to date and find out more on speakers as we'll start publishing the line-up very soon! Barbara is a Machine Learning Engineer with strong software development background. While working with a variety of different companies, she gained experience in building diverse software systems. This experience brought her focus to the Data Science and Big Data field. She believes in the importance of the data and metrics when growing a successful business. Alongside collaborating around data architectures, Barbara still enjoys programming activities. Currently speaking at conferences in-between working in London. Tim is a teacher, author, and technology leader with Confluent, where he serves as the Senior Director of Developer Experience. In this talk, Guglielmo will walk through a real-world example of AIOps: automated root cause analysis of Apache Spark cluster failures on Kubernetes environments doing Deep Learning with DL4J and... Apache Spark itself. Guglielmo is currently an Associate Director at MSD and based in the new MSD Biotech facility in Dublin, Ireland. This talk is for the underdog. If you’re trying to solve data related problems with no or limited resources, be them time, money or skills don’t go no further. This talk is opinionated and deals with GDPR, deep learning and all the hype. How data infiltrates the organization? Which roles come first, what problems they solve and what problems do they introduce? A down-to-earth approach in this hype driven environment to make decisions impactful and practical based on real world experience, not product brochures and GitHub repository stars. The Data Janitor - data nerd and startup specialist. 19 years XP in startups, 9 in data. IoT + AI = Love, But How Do You Say That in C#? Machine Learning and Deep Learning are greatly completing this picture, in a cross-platform environment, using .NET Core, Raspberry Pi 3, ML.NET, and Tensorflow. Let's deep dive into some real-world code samples, and demonstrate that C# programmers are ready for AI. In his professional life, Daniel is a trainer, speaker and developer and organizes coding workshops and bootcamps. This is the story of how we built a highly available data pipeline that processes terabytes of network data every day, making it available to security researchers for security assessment and threat hunting. Building this kind of stuff in the cloud is not that complicated, but if you have to make it near real-time, fault tolerant and 24/7 available, well... that's another story. In this talk, Luciano and Domagoj will tell you how they achieved this ambitious goal and how they missed a few good nights of sleep while trying to do that! Spoiler alert: contains AWS, lambda, elastic search, monitoring, alerting & more! Domagoj Katavic (Principal Software engineer at Vectra) is a technology enthusiast coming from Split, Croatia. From his early days, Dom has enjoyed playing with technology, starting with programming robots in PBASIC, to gesture recognition and tinkering with FPGA. Dom has always liked programming so his first job was building a cloud editor Codeanywhere and teaching programming at a local university. Now he is a Software Engineer at Vectra AI where he is making the hunt for cyber attacks as easy and automated as possible. Recommendation algorithms and their variations such as ranking are the most common way for machine learning to find its way into a product where it is not the main focus. In this talk Simon will dig into the subtleties of making recommendation algorithms a seamless and integral part of your UX (goal: it should completely fade into the background. The user should not be aware they are interacting with any kind of machine learning, it should just feel right, perhaps smart or even a tad like cheating); how to solve the cold start problem (and having little training data in general); and how to effectively collect feedback data. He'll be drawing from his experiences of building Metabase, an open source analytics/BI tool, where they extensively use recommendations and ranking to keep users in a state of flow when exploring data; to help with discoverability; and as a way to gently teach analysis and visualization best practices; all on the way towards building an AI data scientist. We are Elated to have Noelia join us at Infiniteconf 2019! Noelia Jiménez Martínez is Head of Data Science and Astrophysics at Unbound. She holds a PhD in Numerical Astrophysics from the UNLP (La Plata, Argentina) applied to Galaxy Formation and Chemical Evolution. Skills Matter is proud and happy to share our Infiniteconf Diversity Scholarship Plan which provides support to those from traditionally underrepresented and/or marginalized groups in the technology and/or open source communities who may not have the opportunity to attend Infiniteconf for various reasons. We look forward to having you at Infiniteconf 2018! Interested in Big Data, AI and Data Science, and eager to learn the latest news? 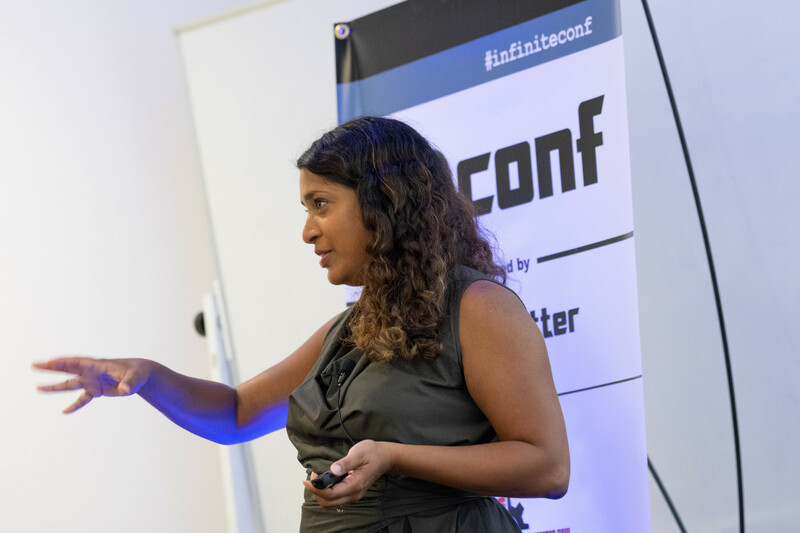 You have the chance to get a free ticket to Infiniteconf London 2019! All we need from you is some help in setting up the conference, and some hours of your time on the days of the conference! You will be free to attend the conference for the remainder of the time. Are you ready then? 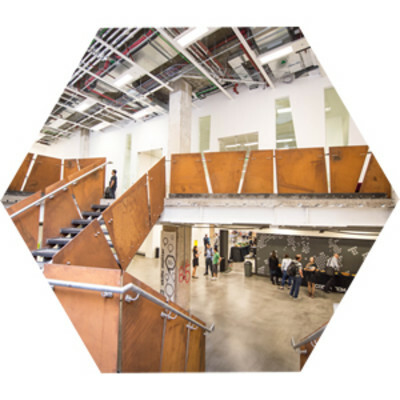 Email us at conferences@skillsmatter.com and we will put your name down as a volunteer for Infiniteconf London 2019! Shifts and detailed info will be confirmed closer to the conference. Thank you for coming to Infiniteconf 2018. We hope you had as much fun attending as we did organising it. We want to hear your feedback about the event, learn more about our audience and ask some questions about how you ended up buying your ticket. As a thank you we will be entering you into a draw to win a £25 Amazon voucher. We will be collecting your email address to be able to enter you into the prize draw, your answers will be kept separately from any identifying information. Ready to demystify Machine Learning and put it to work on real problems? Kick start your skills in this hands-on three-day workshop and learn the secrets of this powerful data-analysis method. Gain the skills to integrate ML into your applications using cutting-edge industry techniques and put your learning to use on real world problems.